The British Government is promising to cut red tape for home builders in a move which will reduce the cost of building an average new home by £500. 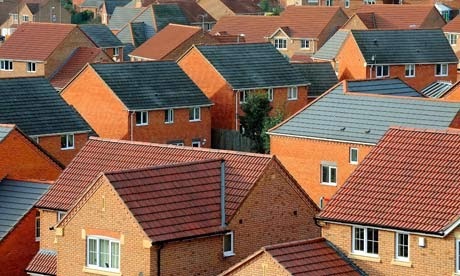 The average new home in the UK has shrunk to only 818 sq ft, one of the smallest of any developed country in the world. If the red tape was cut in the US similar to the UK, the average new home in the US would drop over $2,100. Using the current new home rate, that would be a savings of over $2 billion dollars a year. Prime Minsiter David Cameron will confirm the move today as he reveals an ongoing purge of red tape has cut hundreds of unnecessary regulations across all industries. More than 100 overlapping standards applied to new homes will be cut to less than 10 – saving around £60m per year for home builders. David Cameron is expected to say: “We will be the first government in modern history to have reduced – rather than increased – domestic business regulation during our time in office. You won’t hear President Obama cutting any costs in his State of the Union Address this year. “This government has already stopped needless health and safety inspections. And we will scrap over-zealous rules which dictate how to use a ladder at work or what no-smoking signs must look like. “We’ve changed the law so that businesses are no longer automatically liable for an accident that isn’t their fault. And today I can announce that we will also help house builders by cutting down 100 overlapping and confusing standards applied to new homes to less than 10.